i had a few doilies left from my wedding Cheiz (a selection of textiles and other from grannie) and thought I’d put them into good use. got mum to help me with the sewing machine and turned them into lovely cushions for my pallet couch. 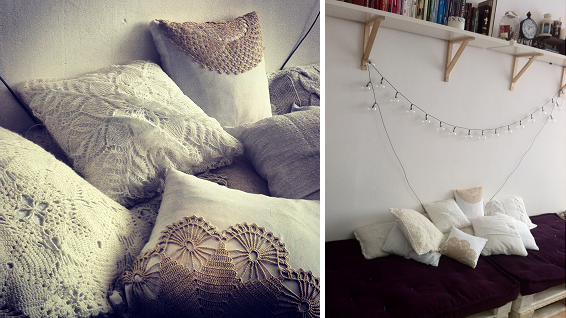 another DIY doily project was my headboard panel. check out all my DIYs.